RM5 instead of RM12 for Popular Taiwanese Desserts OR Drinks at UFO Desserts and Drinks, SS2 PORK FREE [58% OFF]. Limited to 500 vouchers only! PORK FREE [58% OFF]. Limited to 500 vouchers only! Valid on public holidays and weekends too! Limited to 500 vouchers only! Valid from 15 Jan 2012 - 15 Mar 2012! 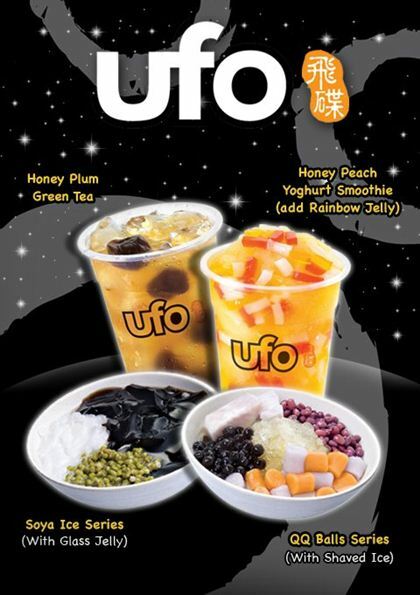 Visit RM5 for Popular Taiwanese Desserts OR Drinks at UFO @ SS2 deal now!